All Silverlight Examples, Silverlight News, Silverllight Games, by Gavin Wignall. 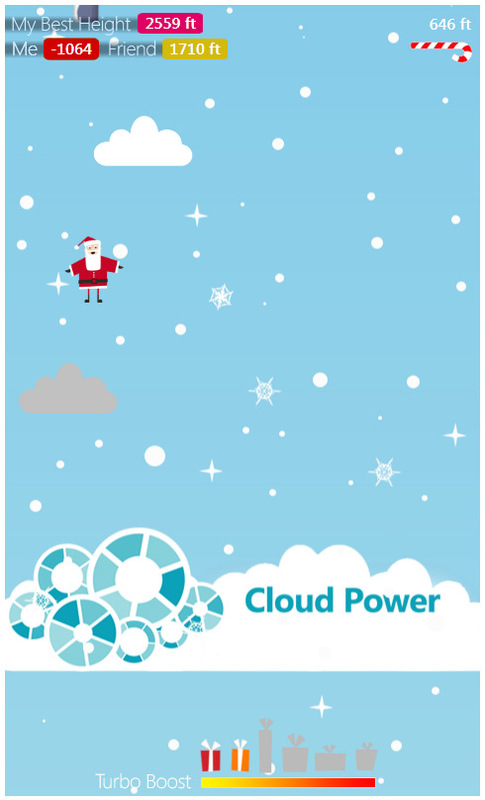 After the success of last year we were given the challenge again to create a simple fun Festive game with the focus to be on Windows Azure. Again, I was given the creative support from our Metia TVP team so that I could focus my time on building the game mechanics. Thankfully, this year our turnaround time had been lengthened to two weeks. 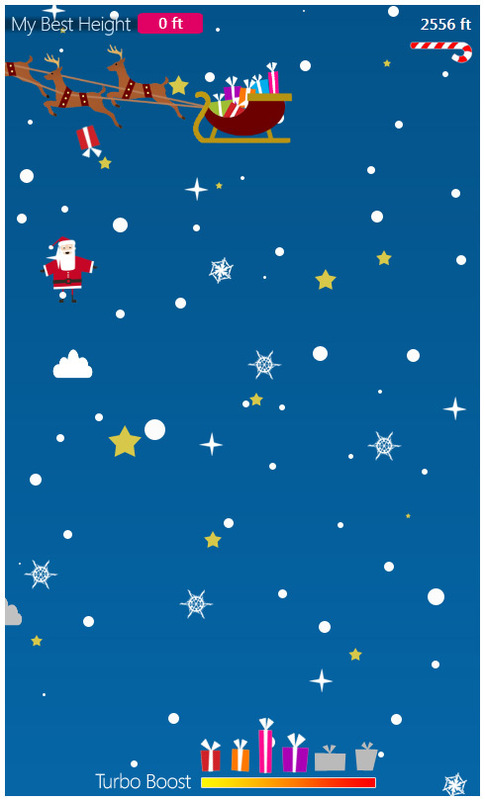 All you need to do to play the game is use the left and right keys to move the bouncing Santa, absolutely no rocket science required! 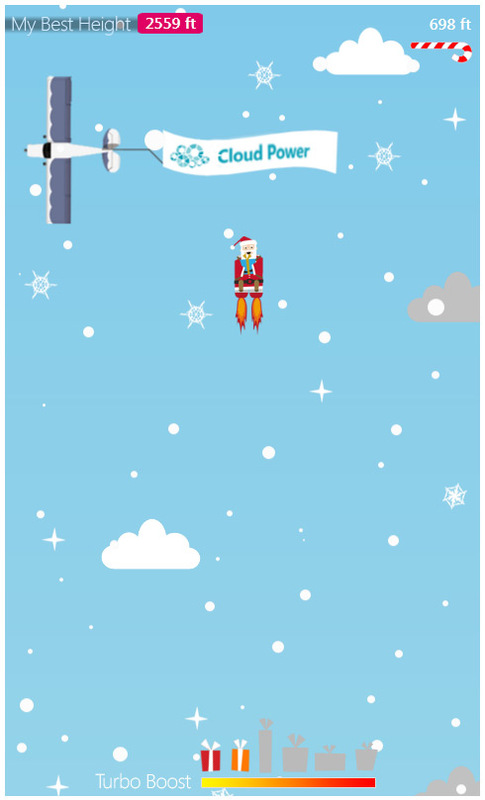 Increase your score by jumping up the clouds, make sure you don’t miss or it could be game over! 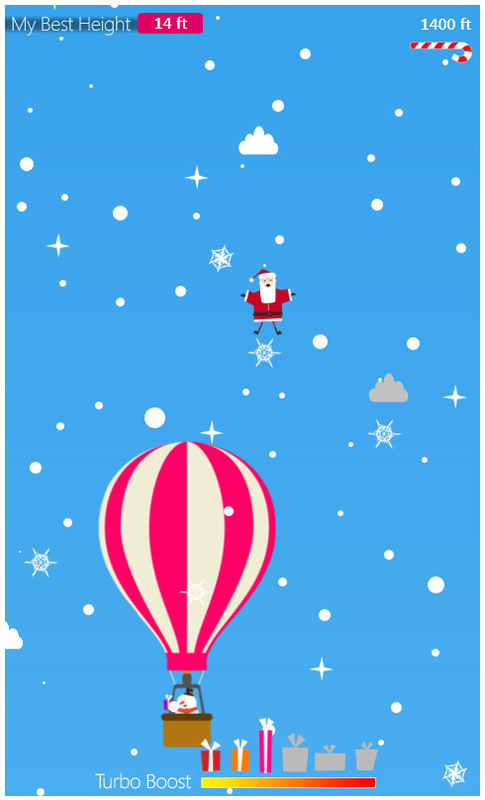 Watch out for Santa’s run-a-way sleigh, it may drop bonus presents that you can catch for bonus speed. The presents randomly drop in different directions each time and there is no guarantee a present will drop, so choose carefully when to leap for joy. 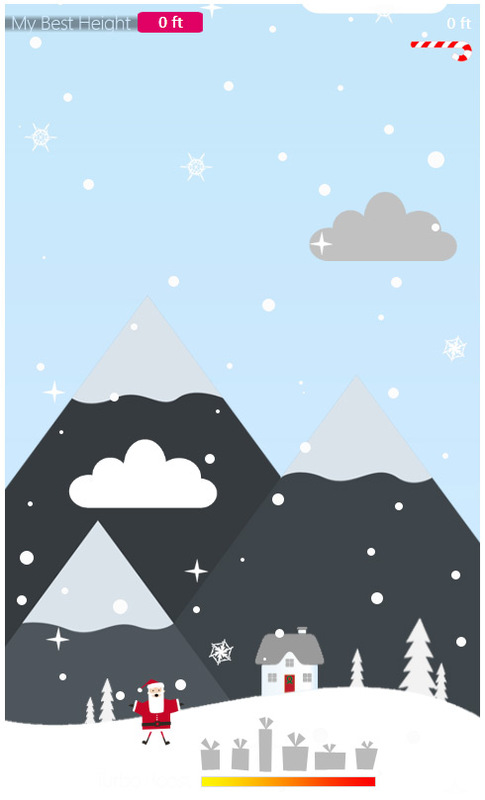 Collect six presents for a super speed bonus that will really send you up into new heights. Once you have had a go and achieved a score, you can challenge a friend! Simply fill in the email of a friend and send. When your friend follows the link you sent they will see your score in the top left of the screen and how far left they need to jump to beat it. We are hoping this will entice people to share the game and make it “go viral”. With thanks going to some of our team here at Metia London, we created a global scoreboard so you can try to be the best out there! The scoreboard allows you to put in a nickname and your organisation to help with bragging rights – again, we hope this helps people want to share the game. I used the Isolated storage feature of Silverlight 4 to save your own high score to your PC. This allows you to see your personal best score even if you have left the website and come back another day. We took the opportunity right from the outset to build this game so that it would easily be converted for Windows Phone 7. The resolution is already at 480 x 800, the controls are really simple and could either be implemented through on-screen buttons or using the accelerometer. We hope either a similar version or re-skinned version will be coming to the Windows Phone 7 soon! Here are a selection of screen shots from the game.